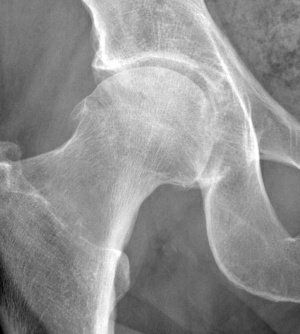 Radiograph of the left hip demonstrates bony overgrowth at the superior aspect of the femoral head and neck junction (Cam type). There are advanced degenerative changes in the hip, which consist of joint space narrowing, subchnodral cysts and subchondral sclerosis. To a lesser degree, similar changes are seen on the contralateral side. 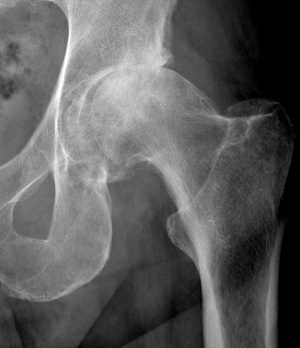 Cam and pincer types of femoroacetabular impingement have been described.